A bright, airy entrance greeted the attendees of XLIVE’s 2017 Data and Analytics Summit as they entered the doors of The Paley Center in Beverly Hills this past April 4-5 for two engaging and insightful days alongside the live event industry’s biggest leaders. The event welcomed companies such as Warner Brothers Records, Netflix, Los Angeles Kings, Ticketmaster, and Jacksonville Jaguars in addition to many others. The XLIVE Data and Analytics Summit convened a wealth of live event producers, sports executives, leading data, and analytics executives to discuss the latest technologies emerging at the forefront of event production. Granting attendees access to mingle with speakers throughout the course of the event, the XLIVE D&A Summit hit attendance capacity and offered up the opportunity for educators and educatees to interact in a casual environment - before, during, and after each panel. The panels, which took place one at a time throughout each day, were carefully designed to explore the growing industry of Data and Analytics and the rapid expansion of digitizing live event experiences, encouraging participants to harness the power of their data to more effectively engage attendees, understand customer behavior, increase revenue, analyze competition, identify talent trends, monetize assets, and enhance sponsorship activation. 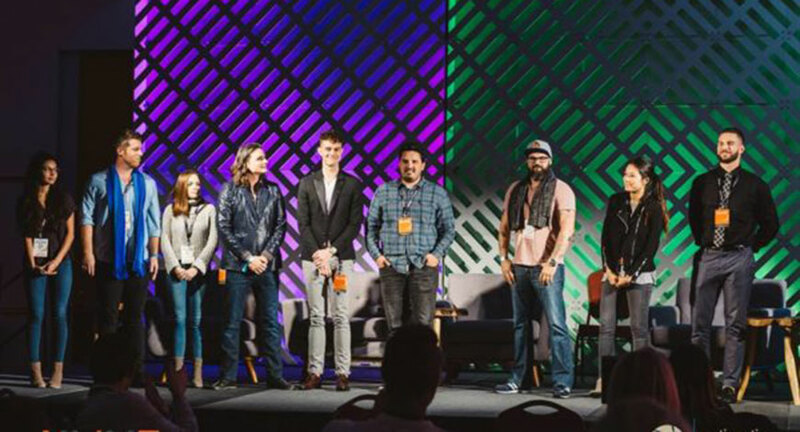 Over fifty speakers descended on Los Angeles to deliver eleven panels + multiple presentations during the XLIVE D&A Summit, educating participants on the importance of harnessing Data and Analytics to thrive in the live event and festival industries. Highlights from the 2017 Summit include the Fanalytics Panel led by moderator and 2017 Summit Sponsor Mark Meyerson, Vice President and GM of Vendini, and featured analytics executives from the Jacksonville Jaguars, Milwaukee Bucks, Los Angeles Kings, and Evan Weinstein - Partner, Steez Promo; the Fanalytics panel demonstrated how industry executives can benefit from a data-driven approach to ticket sales for casual and diehard fans alike. Also popular was Managing Expectations, which covered how companies might use data and analytics to create the ideal live event experience for fans. The panel brought luminaries Frantz Cayo - Senior Director- Programming & Talent, BET; John Trumble - Managing Director, New York City Wine & Food Festival; Meryl Johnson - Director of Digital Strategy, Country Music Association; and Brad Null - Chief Scientist, Reputation.com to the stage for an exciting and informative Q&A. Techstars Los Angeles Managing Director Anna Barber was on hand to lead the Techstars panel, where execs from Hurdl, Shimmur, Robin, and Weav.io examined the Techstars approach to using analytics to scale businesses by identifying target audiences and understanding how to solve pain points. Outside of the realm of panels, attendees were also able to sit in on the esteemed keynotes in addition to various, singular presentations. Moderator and XLIVE 2017 Program Director, Max Rollinger held a “fireside chat” style keynote with Ticketmaster’s Chief Digital Officer & EVP Data Science & Engineering, John Carnahan, where he shared strategies for using data and analytics to fundamentally disrupt the stronghold that ticketing bots have on the live event marketplace. Director of Content Science & Algorithms at Netflix, Todd Holloway dove deep into Netflix’s approach to using data and analytics to identify audience viewing preferences as a means for introducing shows, movies and specials that become the most talked about content in pop culture during his highly-anticipated presentation You Are What You Watch. XLIVE 2017 Data & Analytics Sponsors include: Feathr, Presenting Sponsor Eventbrite, Presenting Sponsor Thuzi, Premier Sponsor Vendini, Sponsor Pixmob, Sponsor Showclix and last but not least, Conference Co-Chair Umbel. Dedicating both resources and their own expertise, many of the sponsors were also featured as speakers throughout the course of the Summit - Dave Cedrone, Senior Partner Strategic Services at Umbel; Mark Meyerson, VP & GM at Vendini; Aidan Augustin, Co-Founder & President Feathr; Paul Slaats, Co-Founder & Board Executive at Thuzi; and Biasha Mitchell, Strategy Music & Live Entertainment at Eventbrite all presided on panels during the conference. Coming up in 2017, XLIVE will make its way across the country to host it’s 2017 eSports Summit this August 22-24 in New York City which will explore and discuss the future of the booming eSports industry. And then later this December 10-13, XLIVE returns to Las Vegas for its annual live event and festival industry 2017 Conference.